We’d love your help. Let us know what’s wrong with this preview of Nothing Is Forgotten by Peter Golden. In 1950s New Jersey, Michael Daniels launches a radio show in the storage room of hi From the beloved author of Comeback Love and Wherever There Is Light, comes a novel about the life-changing journey of a young man who travels from New Jersey to Khrushchev’s Russia and the beaches of Southern France as he finds love and discovers the long-hidden secrets about his heritage. To ask other readers questions about Nothing Is Forgotten, please sign up. I am currently reading Nothing Is Forgotten. Did anyone else not find it an adult Nancy Drew??? Sorry to be the ONE, but I am slogging through the last half. This story of a young Jewish man trying to discover his grandmother’s past and what happened to her in Russia during WWII was one that I was drawn to. I read a lot of holocaust stories because I believe they are so important to read and I enjoy the connections that characters make with their family’s past. Michael ‘s present story takes place during the Cold War and it became much more of a spy thriller than I had anticipated, a genre I don’t usually read. Thus the 3 stars. There was just too much going on - CIA, KGB, Michael running from place to place - from South Orange , NJ to Munich, then Russia and Paris, California, more characters than I could keep track of. This will more than likely appeal more to those who enjoy the chase. Having said that, there are definitely some things that I liked about the book that kept me reading . The writing flows and I felt a familiarity with things that happened in the 60’s - the Cold War, Kennedy’s assassination, Beatles records. There are some wonderful characters in this book. I couldn’t help but love Michael from the beginning and what Yulie goes through in her young life will break your heart as will Michael’s grandmother Emma’s story. Peter Golden is a well known journalist as well as novelist and it is obvious in the list of Sources he provides, how well researched this book is. In spite of the fact that this turned out to be more spy thriller than I had anticipated, I would recommend it those who enjoy the genre. I’m glad I stuck with it because it is also a good piece of historical fiction which depicts the suffering, courage and love of characters who represent people who may have lived through these times. The radio show is booming when Michael’s grandmother is murdered in her store. The reason why is a mystery. His grandmother had not shared much abo Michael Daniels is living in 1950s New Jersey when he stars in a radio show he performs in his grandmother’s basement. What’s he famous for? His satires of Nikita Khrushchev, leader of the USSR. Named for Mark Twain, whose loathing of Tsarist Russia endeared him to the party, the students spent half the day immersed in the government-blessed curriculum in Russian and the other half taking courses in English, all while a portrait of Vladimir Lenin, the founder of the Soviet state, stood guard on a wall of every classroom, glaring at the students as if accusing them of harboring the forbidden desire to own private property. I had a new reaction. I imagined smashing the wine bottle over Stenka’s head. Visiting Dachau, I concluded, could make a Jew touchy. Of course, almost everyone loves dead Jews. Jesus was a Jew, no? It is the live Jews who seem to bother people. I feel like I wandered into the middle of a freakish play, and I can’t get off the stage. Peter Golden has created exceptionally compelling arrangements of words within these 353 pages. His beguiling selections of nouns, verbs, and adjectives were densely packed across two timelines and were highly intriguing, thoughtfully written, mysteriously emotive, poignantly insightful, spiritually devastating, yet highly compelling. His well-crafted storylines were lushly detailed and often held a weighty aura of melancholy, which resulted in a bruised and heavy heart, yet, oddly, I didn’t seem to mind. To deploy his own words out of reference, Mr. Golden is truly a “connoisseur of irony.” He sagely tucked in clever turns of mocking wit and deftly tossed in twists of levity with razor-sharp sarcasm, quips, and sardonic banter. His cunning use of humor felt like delightful treats and often erupted in the most expected of places. This was not an easy book to slice through given the disquieting subject matter, a large cast of unusual and disturbing characters, frequent use of foreign words and names, and unfamiliar cultural references; all of which left me ever so thankful for the translator and Wikipedia function on my tablet. However, I assure you, this masterfully penned tale was well worth the effort. I feel humbly and gratefully enlightened while having gleaned considerable and relevant knowledge in an entertaining manner. Peter Golden has mad skills and a new fan. This book will take you from New Jersey, to Munich, to Russia, to France, to California, and probably places I have forgotten. The story was fast Exceptionally told, expertly researched, immensely engaging! I only meant to read a page or two as I waited for my boys at the bus stop to get home from school, but Peter Golden's writing sucked me in and I was officially toast! Nothing is Forgotten is one powerfully moving novel, brilliant in execution, and an emotional roller coaster. You'll laugh, you'll cry, you'll root for the heroes and you'll fly through the pages to see if evil will finally get their due. I absolutely loved every page! I had so many passages highlighted on my eBook because there w I only meant to read a page or two as I waited for my boys at the bus stop to get home from school, but Peter Golden's writing sucked me in and I was officially toast! Nothing is Forgotten is one powerfully moving novel, brilliant in execution, and an emotional roller coaster. You'll laugh, you'll cry, you'll root for the heroes and you'll fly through the pages to see if evil will finally get their due. I absolutely loved every page! I had so many passages highlighted on my eBook because there were so many good lines. Golden is a master storyteller, equally deft with action scenes as he is with the romance aspect of the book. I fell in love with Yuli, she reminded me of a female Jason Bourne. And like in the Jason Bourne movies we are taken on an International adventure to Amsterdam, Russia, France, Germany, and back to the US. And we get to meet Picasso! NOTHING IS FORGOTTEN is currently in my top five favorite books of all time, joining A PRAYER FOR OWEN MEANY, SHE'S COME UNDONE, GONE WITH THE WIND, and MEMOIRS OF A GEISHA. At times, the book is a thriller, others a mystery, and still others, a romance, but at all times, it's captivating, emotional, and incredibly well told. The story opens in Michael's childhood and reads like a memoir until his grandmother is killed, and then it takes off like a thriller wrapped in a mystery as Michael tries NOTHING IS FORGOTTEN is currently in my top five favorite books of all time, joining A PRAYER FOR OWEN MEANY, SHE'S COME UNDONE, GONE WITH THE WIND, and MEMOIRS OF A GEISHA. At times, the book is a thriller, others a mystery, and still others, a romance, but at all times, it's captivating, emotional, and incredibly well told. The story opens in Michael's childhood and reads like a memoir until his grandmother is killed, and then it takes off like a thriller wrapped in a mystery as Michael tries to figure out who killed his grandmother and why. His search for the truth takes him to Europe and Russia where he meets and falls for Yuli, a smuggler and defacto spy. Together they seek clues about the death of Emma, which only raises more questions and puts them both in danger. Impeccably researched, there is as much history as there is storytelling going on between the pages. The story is expertly plotted and moves along at a steady rate. The pace picks up speed at the climax and keeps it up until the very end. And that ending...wow. For me, it's perfect. Yes, I want to know what happens next, but I don't need to know. It's such a satisfying conclusion with just the right amount of uncertainty to allow me to imagine what comes after without feeling frustrated. The characters are a masterpiece. Michael, Yuli, Der Schmuggler...they're deep, nuanced, and intriguing. Throughout the story, Emma goes from being an enigma to someone fully fleshed out as the reader learns through Micheal's research who Emma really was. The characters seem so much a part of the era (late 1950s to 1960s), that I never once questioned the setting. 1. Yuli. She was by far my favorite character. She's so complex, strong and vulnerable, proud with fits of guilt, having lived through the horrors of the second World War, she's hard to identify with, but so easy to root for. 2. Michael. His optimistic Americanism is the polar opposite of Yuli's Eastern European post-war hopelessness. His quest to uncover the truth is both reckless and admirable, making him an absolutely fascinating protagonist. 3. History. I love history, but even more when it serves as a backdrop to a compelling story. The author's meticulous attention to detail made history come alive, leaving me wanting to learn more about the events of that time. What a beautifully written story told from a perspective that you seldom read about. This was a treat from page one until I turned the final page. I definitely recommend this one to lovers of mystery and WWII fiction. 1. Michael's sharp sarcasm and voice. Reminds me of his age, era, and the place where he lived. 5. History is weaved into the book. For example: John F. Kennedy's assassination. 7. Yulianna Kosoy is a character who lives in USSR. I like her. She is a savvy person. She is a remarkable person. 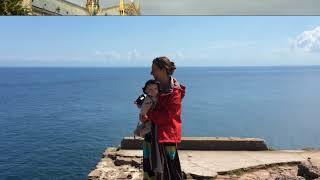 At her introduction, I felt she showed a "whatever" attitude towards certain activities. I believe this is apart of her persona of living life on the edge. 8. I love the unique career of Michael. I've not read another story where the character is a jockey of a radio station. Actually, he is the lone operator. Complimentary hardcover copy provided for this review by Atria Books. Wow, I loved reading this book. I had little knowledge of what I was getting into, and glad I dove in blind: highly recommended. I received a free copy of the book as part of my participation in the blog tour. You know how sometimes you come across a book that’s within your wheelhouse of preferred genres and sounds like it could be interesting, so you pick it up with a mild caution in the back of your mind because even though it sounds interesting, it’s still a bit “may or may not be for me”? That was this book for me. I was mostly curious and mildly cautious. And then I started reading it and found myself so completely i I received a free copy of the book as part of my participation in the blog tour. You know how sometimes you come across a book that’s within your wheelhouse of preferred genres and sounds like it could be interesting, so you pick it up with a mild caution in the back of your mind because even though it sounds interesting, it’s still a bit “may or may not be for me”? That was this book for me. I was mostly curious and mildly cautious. And then I started reading it and found myself so completely immersed in the storyline that I completely lost track of time. I binged the first half of the book in one sitting. Hashtag no regrets. And surprise, surprise, I need to mention the characters. There were so many distinct personalities in this book. Everyone was very bold, with strong opinions and an unwillingness to back down from their beliefs. I appreciated that. It worked very well with the setting and time period. Had it been the other way, characters who were meek and just going with the flow, it would’ve ruined the story for me. There are so many big looming external forces working together and against one another in this story (for example, the CIA and the KGB), that it needed, or at least I needed, strong characters to push back against those powers. It was a great balance for my reading preferences. 3.5 stars, rounding down because second half was farfetched. This book can't decide what it is - spy thriller, romance, or Holocaust-related story, all with some humor thrown in. I guess it is all of these things, but that makes it uneven. Just ok for me, despite promising start. 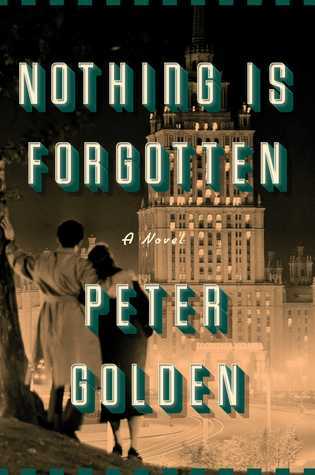 Nothing is Forgotten by Peter Golden is a full length, standalone novel. Peter Golden is the author of Come Back Love ; and Wherever There Is Light. Nothing is Forgotten : the journey of a young man who travels from New Jersey to Khrushchevs Russia and the beaches of France. He finds love and discovers the secrets of his heritage. Meet Michael Daniels, hes the typical immigrants son, grows up sheltered and beloved by his granny. Hunger for life and circumstances throw him into the adventure of a li Nothing is Forgotten by Peter Golden is a full length, standalone novel. Nothing is Forgotten : the journey of a young man who travels from New Jersey to Khrushchev´s Russia and the beaches of France. He finds love and discovers the secrets of his heritage. Meet Michael Daniels, he´s the typical immigrant´s son, grows up sheltered and beloved by his granny. Hunger for life and circumstances throw him into the adventure of a lifetime. Nothing is Forgotten is a lesson in history, a journey through history and time. It´s a heartwrenching story about growing up, love , hate and finding himself. Nothing is Forgotten begins in the late 1950's in South Orange, New Jersey. Michael "Misha" Daniels is a teenager looking for direction in his life. He begins working on a small radio show, which eventually becomes popular locally ... and overseas in Russia. After his beloved grandmother is murdered at the family candy store in 1964, Misha travels overseas to find answers about her past -- from Germany to Russia to France, and eventually to Atlanta and Los Angeles. His story intertwines with tha Nothing is Forgotten begins in the late 1950's in South Orange, New Jersey. Michael "Misha" Daniels is a teenager looking for direction in his life. He begins working on a small radio show, which eventually becomes popular locally ... and overseas in Russia. After his beloved grandmother is murdered at the family candy store in 1964, Misha travels overseas to find answers about her past -- from Germany to Russia to France, and eventually to Atlanta and Los Angeles. His story intertwines with that of Yulianna "Yuli" Kosoy, a war orphan in Russia. Nothing is Forgotten is a well crafted and deeply engrossing tale of a young man’s journey of discovery through a family history that was unknown to him. Michael had a pretty typical American upbringing; his parents owned a candy shop and his grandmother was there to care for him. He loves Rock and Roll and in all ways was living like any normal kid. Using some connections he soon turns his love of music into a job spinning records as a DJ and becomes known as “the mad Russian.” Then his grandmo Nothing is Forgotten is a well crafted and deeply engrossing tale of a young man’s journey of discovery through a family history that was unknown to him. Michael had a pretty typical American upbringing; his parents owned a candy shop and his grandmother was there to care for him. He loves Rock and Roll and in all ways was living like any normal kid. Using some connections he soon turns his love of music into a job spinning records as a DJ and becomes known as “the mad Russian.” Then his grandmother is murdered and his life is turned upside down. Peter Golden, the author, was appearing locally to discuss this book and I wanted to meet him so I quickly began to read Nothing Is Forgotten. Partly, historical fiction, partly a coming of age story and party a thriller- this book runs the gamut. Never was there a lull as I sped through the pages excited to get to the next stop on my journey. Michael, a young Jewish man is being raised by his grandmother in South Orange New Jersey. His grandmother is well known in the neighborhood for her gener Peter Golden, the author, was appearing locally to discuss this book and I wanted to meet him so I quickly began to read Nothing Is Forgotten. Michael, a young Jewish man is being raised by his grandmother in South Orange New Jersey. His grandmother is well known in the neighborhood for her generosity and her unusual connection to some seemingly shady characters who hang out in her candy store. Set during the Cold War, the tale unfolds and transports us from NJ to Germany, where Michael’s career as a Russian mocking deejay makes him a local celebrity. And there in Germany he falls for Yuli, ward of der Schmuggler, whose lives and purpose are shrouded in mystery. When Michael’s grandmother is found murdered , he begins to slowly unravel what has been hidden from him. Who was this grandmother and why did she have secrets? I have read both of the author's earlier books (Comeback Love and Wherever There is Light) and while I greatly enjoyed them, this one is his best by far. The writing style is wonderful and does a terrific job in unfolding the story, so that the reader is compelled to keep reading - never feeling like the story has revealed itself prematurely. In my own work as a genealogist, I know how challenging it can be to tell ancestral stories in a compelling way that is accurate in terms of social, econom I have read both of the author's earlier books (Comeback Love and Wherever There is Light) and while I greatly enjoyed them, this one is his best by far. The writing style is wonderful and does a terrific job in unfolding the story, so that the reader is compelled to keep reading - never feeling like the story has revealed itself prematurely. In my own work as a genealogist, I know how challenging it can be to tell ancestral stories in a compelling way that is accurate in terms of social, economic, and political context. This book does just that. It is clear that extensive research was done which contributes so much to the depth of the story but that research is wrapped around vivid characters, with well developed individual story lines that intertwine. In this novel, one of the lessons that Emma Dainov imparts to her grandson, Michael, is that "you fix the past in the present, not in the past." Michael discovers there is much more to Emma's past than he ever knew or imagined and, after her death, he embarks on a journey to search for answers which unfolds a story of the Holocaust and a resulting life-encompassing quest of Emma's that Michael will attempt to bring to fruition. It’s a query presented by Michael Daniels’ grandmother Emma in the back of an art book he finds in her bookcase after she’s been killed in her workplace in South Orange NJ in the early 1960s. And in trying to figure out who is Grandmother actually WAS, he’s certainly not ready for the work that takes him all over the world to find out. Michael’s trying to figure this out connects him with CIA operatives, Holocaust survivors, Russian smugglers, artists, rogue assassins and Cold War Europe... and Yuli Kosoy, a young woman in Russia who is obsessed with all things American, including “Misha Daniov: The Mad Russian” his radio persona. This is the story about finding what’s missing; the things hidden in the vanishing ink. I will admit that at first I was struggling with this book. In fact, I put it down after getting about half way. After a while, I did go back and decided to start over again. The second time around was much better. So, my suggestion would be to other readers that might be feeling the same way as I did. Wait until you are in a better head space and can dedicate some more time to this book. You won't regret it. I really liked Michael. I was drawn towards him and his story. I did feel the loss of hi I will admit that at first I was struggling with this book. In fact, I put it down after getting about half way. After a while, I did go back and decided to start over again. The second time around was much better. So, my suggestion would be to other readers that might be feeling the same way as I did. Wait until you are in a better head space and can dedicate some more time to this book. You won't regret it. I really liked Michael. I was drawn towards him and his story. I did feel the loss of his grandmother. She was not only a big influence in his life but she raised him after the tragic deaths of his parents. Therefore, I could understand what her death did to Michael and how it shaped him. Whereas; Yuli's story is concerned, I did like it. However, it took me longer to warm up to Yuli. She did have a interesting story. I liked her mission. So for the first couple of times when the story would flash to Yuli, I was not as engaged and could not wait for the story to go back to Michael. I didn't know what to expect when I first started reading. Michael's life was outside my own almost completely, both in experience and in the time frame. How to start to consider a teenage DJ who knew English and Russian and whose grandmother ran a candy store? I know, it's fiction, and you're supposed to relate. Even though I didn't know what to expect, once I started reading, it was hard to put the book down! And there were twists and turns and details and trips that were (to me) completely un I didn't know what to expect when I first started reading. Michael's life was outside my own almost completely, both in experience and in the time frame. How to start to consider a teenage DJ who knew English and Russian and whose grandmother ran a candy store? I know, it's fiction, and you're supposed to relate. Even though I didn't know what to expect, once I started reading, it was hard to put the book down! And there were twists and turns and details and trips that were (to me) completely unexpected, and completely intriguing. How Michael came to know Yuli, how his grandmother fit into things, how Yuli's adopted papa fit... everything. ‘Nothing is Forgotten’ is a very interesting and well researched story. Michael Daniels is raised by his grandmother after his parents are killed in a car accident. When his grandmother passes away, Michael learns that she had many secrets. The story goes from New Jersey to Russia to France as Michael tries to uncover the secrets of the woman he thought he knew, and tries to understand why she kept so many important details of her life from him. I enjoyed the aspects of mystery that the story too ‘Nothing is Forgotten’ is a very interesting and well researched story. Michael Daniels is raised by his grandmother after his parents are killed in a car accident. When his grandmother passes away, Michael learns that she had many secrets. The story goes from New Jersey to Russia to France as Michael tries to uncover the secrets of the woman he thought he knew, and tries to understand why she kept so many important details of her life from him. I enjoyed the aspects of mystery that the story took on as Michael was led from place to place in search of answers. I enjoyed how Michael would not give up and was intent on learning the truth. I enjoyed the blossoming romance between Michael and Yuli. I also liked the DJ and music references in the story. At times I felt the story dragged and moved a little too slowly but it was well worth sticking with it for the resolution in the end. Last week, as I scanned the new book section at the library, I picked up one I knew nothing about, by an author I’d never heard of. It looked like it might be good so I checked it out. Nothing is Forgotten was not just good, it’s one of the best books I’ve ever read! It’s historical fiction, set in New Jersey, the USSR, Paris, Nice, California and Germany. It’s also a family mystery, an espionage thriller, and a love story (actually, a few love stories) all in one. Extremely well written with un Last week, as I scanned the new book section at the library, I picked up one I knew nothing about, by an author I’d never heard of. It looked like it might be good so I checked it out. Nothing is Forgotten was not just good, it’s one of the best books I’ve ever read! It’s historical fiction, set in New Jersey, the USSR, Paris, Nice, California and Germany. It’s also a family mystery, an espionage thriller, and a love story (actually, a few love stories) all in one. Extremely well written with unforgettable characters, the plot is like the Russian nesting dolls that one of the characters is fascinated by, uncovering more and more of the mystery as Michael traces his family’s past through WWII Russia and Germany to the present. I will now be reading all of Peter Golden’s books!